I attended my first yoga class in 1999 and have been practicing yoga ever since, exploring several different approaches along the way. 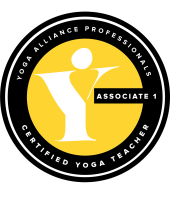 Keen to deepen my knowledge, I undertook a Teacher Training Programme at the Yoga Sanctuary in Southampton led by Yoga Master Premananda (Steve Harrison) certified by the Independent Yoga Network (IYN). The system I was taught is called “Living Yoga”. It follows the classical teachings of Hatha Yoga which have been handed down from the Himalyan sages of Northern India over thousands of years. This complete system takes the teachings of Yoga into our everyday lives, on and off the yoga mat, enabling us to make a deeper connection with our body and mind. 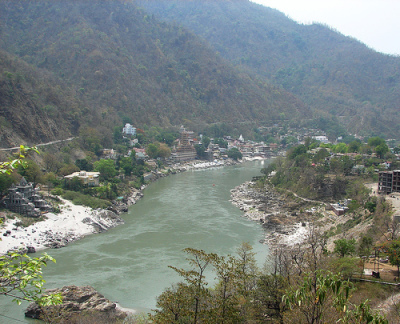 My own relationship with yoga deepened following a visit to India where I stayed in a yoga ashram in Rishikesh on the banks of the Ghanjis. I aim to inspire and nurture people through the teachings of yoga. My classes incorporate gently flowing postures (asana), breathing exersises (pranyama), relaxation and meditation techniques (pratyahara, dharana and dhyana) and I explain the benefits to the system along the way. I introduce different themes and ideas to keep the approach fresh. Mindful movement and breathwork develops self-awareness and expands the capacity to cope with modern day stress. I am a fully insured and registered yoga teacher with Yoga Alliance Professionals. My training has included studying Yoga Philosophy, Ethics and Lifestyle, Stress and Relaxation Management, Mindfulness, Breath Control, Chanting and more. 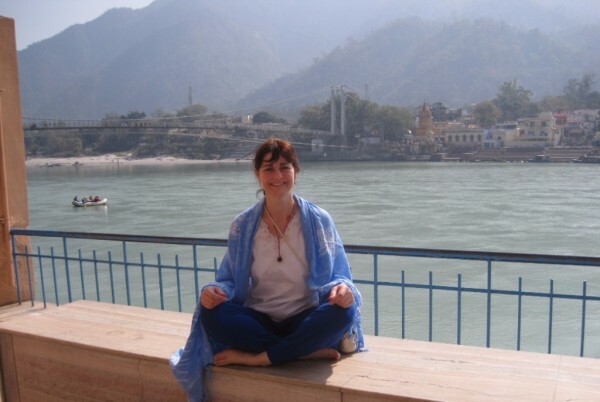 I have been influenced by a wide variety of yoga styles, attending classes and workshops run by teachers with backgrounds in Classical Hatha, Vinyasa Flow, Iyengar, Kriya Yoga, Kundalini, Viniyoga and Dru Yoga. 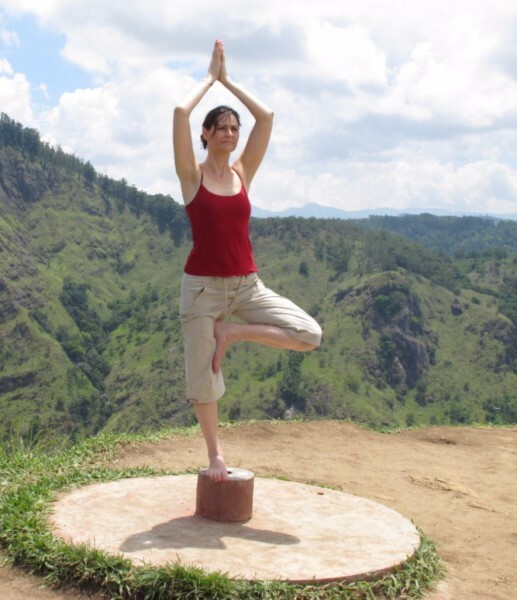 Premananda (Steve Harrison) - my yoga teacher, Yoga Sanctuary Southamption, trained in India. Yogeshwaranand Paramahansa - my teacher’s guru from Rishikesh, India. Swami Sivananda - spiritual teacher and yoga guru. Founder of the Devine Life Society. Paramahansa Yogananda - author of international bestseller ‘Autobiography of a Yogi’. Credited with introducing millions of westerners to the teachings of Yoga. Anandamayi Ma - self-realised yogini. All of these yogis have a link to Ananda ("bliss") in their name and so I offer people my own version of Ananda Yoga. "Jo’s classes are inspirational, her love and energy shines through the whole practice"
"Jo gives clear demonstrations with good ideas for alternatives and modifications"
"Jo’s classes are wonderful. She carefully balances mind, body and soul. I always leave her classes feeling more at peace, positive and aligned. I can’t recommend her more highly." "Jo motivates and encourages students to develop their own practice and yoga journey"
"Our organisation runs a number of classes, but Jo’s Yoga class has fast become the highlight of the week. She is such a pleasure to work with and so dedicated to our clients. We are so lucky to have found her." "Thank you for helping me relax and be more mindful"
"Jo is a fantastic teacher who uses her calm and supportive manner to create a relaxing, safe environment in which people are able to challenge themselves both physically and mentally." "Thanks for such an amazing session. I left feeling positive, calm and excited for Christmas"